RCB, who are seeking their first win of the IPL 2019, will need their batsmen to come good to chase down this total. 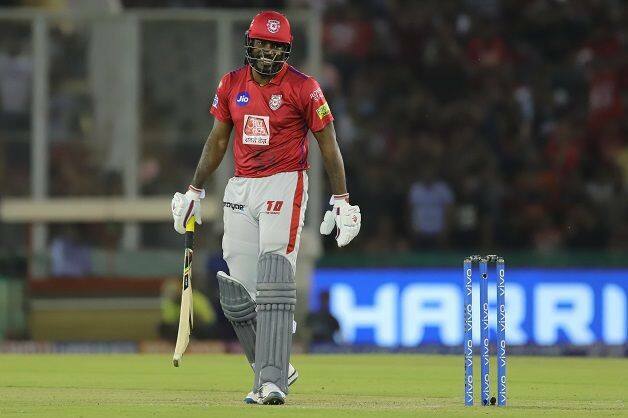 Put in to bat, Gayle was once again at the forefront as KXIP made up for a watchful start in the first four overs and brought up their fifty in the final over of the powerplay, with Mohammed Siraj conceding as many as 24 runs in his first over and the fifth over of the match. The West Indian, meanwhile, brought up his fifty as KXIP scored 90 off the first ten overs. 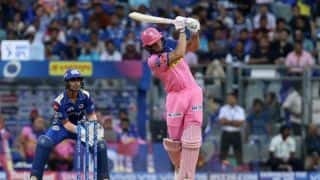 However, even as their two pacers – Umesh Yadav and Siraj – leaked runs, Navdeep Saini played his part, alongside the spinners, to stem the flow of runs and despite not taking a wicket, returned with the figures of 0/23 in his four overs.